While it doesn’t seem very likely one might eventually tire of Afternoon Tea, the menu can often be a little predictable. 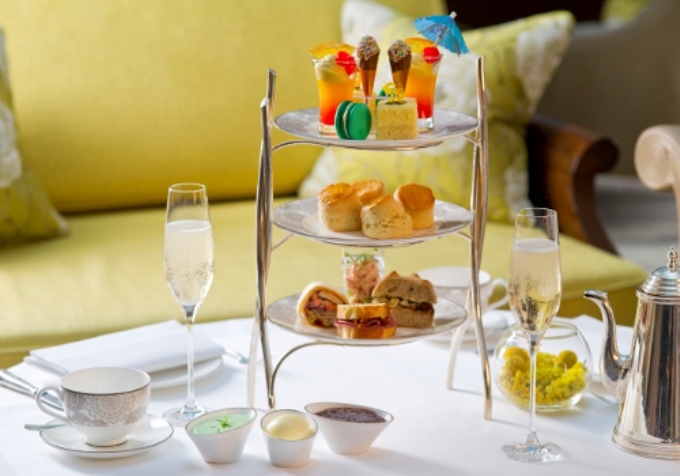 That’s why The Luxury Travel Bible loves Conrad St James’ fun twist on traditional Afternoon Tea with its series of limited edition teas, reflecting the changing seasons in the British Capital. The ever changing seasonal menu not only makes for a different experience each time you stay at the hotel but also celebrates all that is great about London at that particular time of year and the fresh produce on offer. Today I was trying the hotel’s latest Limited Edition Afternoon Teas celebrating the Great British Summer. Executive Pastry Chef Zoe Wager and her team have created a series of unique menu that takes guests through the seasons. 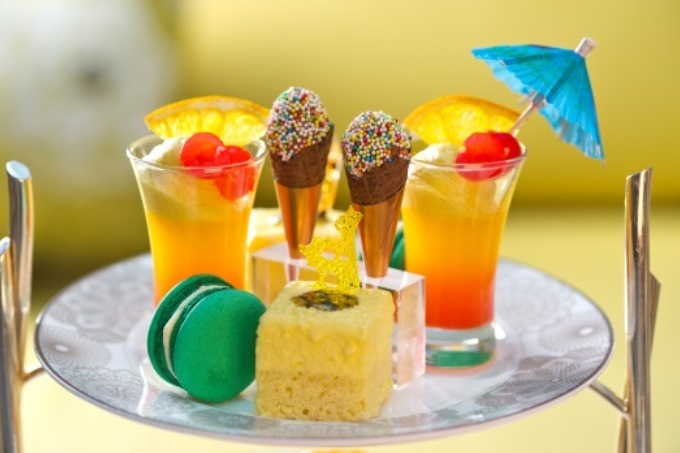 The ‘Summer in the City’ menu includes a course of savouries followed by jelly 'cocktails', mojito macaroons and chocolate mousse mini ice cream cones with fresh coconut and pineapple scones. As well as a pick from the extensive tea menu guests can also be served delicious Iced Tea. Afternoon Tea can also be upgraded to include free flowing glasses of G.H.Mumm Cordon Rouge Champagne … well, you do need something crisp and chilled to keep you cool during the Summer! Afternoon Tea is served in the beautiful Emmeline Lounge, named in honour of the 19th century British political activist Emmeline Pankhurst, which reflects the hotel’s strong links to politics. After the tea be sure to go and view the iconic political art work on display in the Blue Boar Bar (who knows who you might spot having a post-Parliamentary drink in the bar!). A special mention has to go to the excellent service from our host, Ian. He was attentive and friendly and made the tea that little bit more special for our group. The tea was delicious, but the service and style on offer from the hotel makes it stand out from others on offer in London this Summer. The Summer in the City (13th July – 30th August) and Autumn Bramble (31st August – 23rd November) afternoon teas are available at £49 per person with free flowing G.H. Mumm Cordon Rouge Champagne or £35 per person without champagne.